It was a Wednesday, I had agreed to come to the Job Centre to attend a taster session for something called the Meee Programme. After a positive experience I had had on another course in the past, this was suggested to me and I thought it sounded like something I could benefit from. So into the Job Centre I went, anyone who has been to one will know it's not the most inviting of places, add on top of that my social difficulties and it becomes a pretty uncomfortable and awkward situation to be in. A small group of us had come in to find out what it was about and whether we would like to sign up for it. There I met Sid who was running the programme and someone who had been on the programme recently. Sid outlined his reasons for starting the Programme, what he hoped for us to achieve by signing up for it and then the young woman who had recently been on the programme told us what a positive experience it had been for her and that she had a clear vision for her future. I was impressed by what I had heard and the way Sid had been with us, the rest of the group were similarly impressed it seemed because everyone wanted to try it out. The following Monday morning we met up with Sid and a nice lady named Jane and we started the programme. By the time the programme had finished on the Thursday afternoon I felt much more positive about myself and where my life was heading and I had enjoyed it so much that I didn't want it to end. I don't think words can do justice to how helpful this programme is and how much impact it will have on your life. Just thinking about the help this could bring to the many of us who struggle with the negative things that happen in our lives, it gives me a lot of hope for the future. 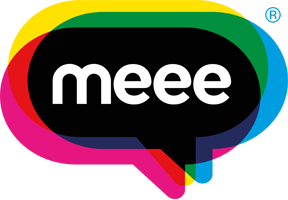 I highly recommend the Meee Programme to anyone who has the opportunity to sign up to it, it has changed me for the better and it can do the same for you too.